Barcelona, located on Spain’s Mediterranean coast, is the capital of the Catalonia region of Spain. Although Spanish is one of the official languages of the area, you’re more likely to hear and see Catalan and should learn key phrases in Catalan, especially please, thank you, and do speak Spanish or English. Many here see Catalonia as a separate nation from Spain and would prefer greater political freedoms or their own independent country, thus the Catalan language and traditions are deeply respected in Barcelona. 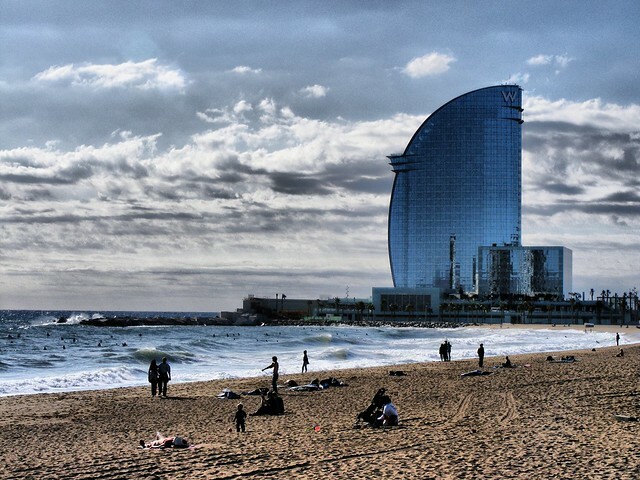 Barcelona is a young, fun city with a laidback atmosphere ideal for a vacation. La Rambla, a long pedestrian street and open air market, ends just steps from the beach. While it’s a bit chilly for swimming much of the year, it is a beautiful place to walk and people watch. Locals prefer to eat late and the nightlife doesn’t get lively until midnight or much later. Still, the city is alive early in the morning with workers hurrying to work and parents doing grocery shopping at the fresh markets. Catalan cuisine embodies the Mediterranean diet with liberal consumption of olive oil, fresh vegetables, grains, pork, and seafood. Pa amb tomàquet, a slice of good bread smeared with a fresh tomato and a touch of olive oil and sometimes garlic, cured pork, or cheese, is a defining Catalan dish: fresh ingredients prepared simply to bring out the best each ingredient has to offer. Paella, a dish with saffron rice as its base, is served all over Spain, but the Catalan version is distinct in that it uses seafood; the Valencian version uses poultry, vegetables, and/or beans. Paella is named for the large, flat pan it is cooked in and the word is Catalan with origins in Old French. Architectural historians and curious gawkers alike can appreciate the work of Antoni Gaudi throughout Barcelona. 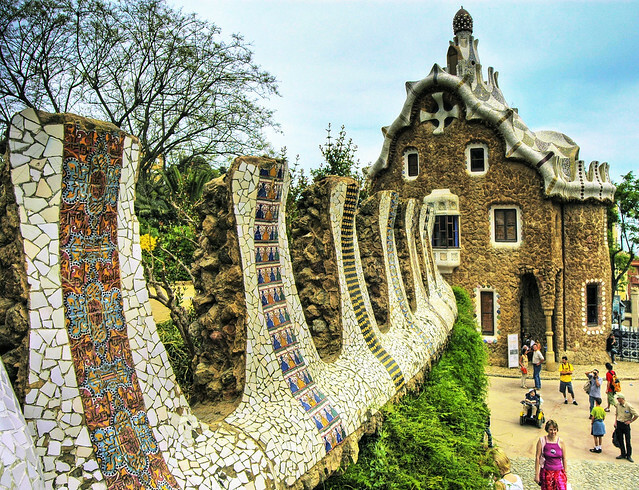 Gaudi was a nineteenth century Spanish architect known for his use of color, especially through mosaic tiles, and his use of shapes found in nature like curved stone. 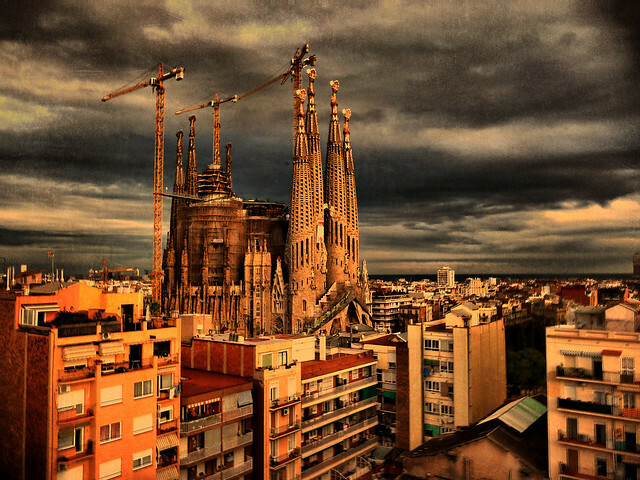 His most famous, and unfinished, work is La Sagrada Familia, a massive basilica begun in 1882 and expected to be finished in about half a century or so. Interested in art and art history? 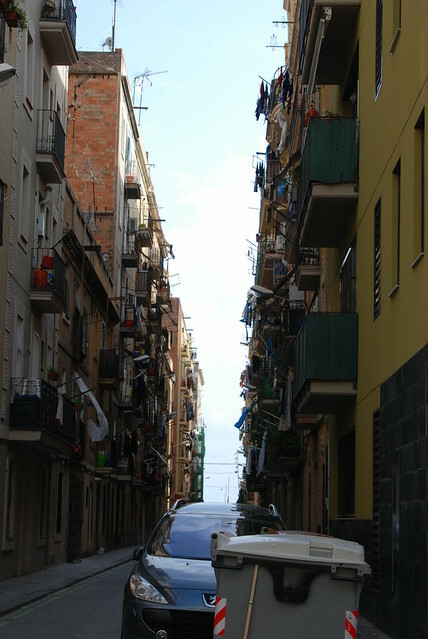 Barcelona has many galleries and museums to choose from. Dive into local culture at the Museu Nacional d’Art de Catalunya to see everything from Romanesque icons moved from churches in the Pyrenees to modern art. The Picasso Museum is a large museum dedicated to the works of Pablo Picasso, many of them from his early life including the Blue Period.